The Ultra Carb Candle fits Doulton HIP, HIS and HCPS, HCP/S Housings. The Ultra Carb Candle fits Mountain Pure Water Filter Model MT660 as Replacement #MT661-RFC. The Doulton W9123053 UltraCarb 10-inch Filter Candle features four stages of filtration in a single cleanable cartridge. It reduces suspended solids, chlorine, lead and other trace contaminants, as well as improving taste. Also known as Mountain Pure Water #MT661-RFC, the carbon core improves taste, while also reducing particulates and other chemical contaminants overall. 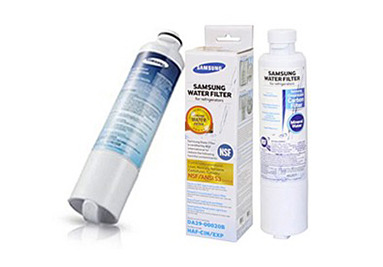 In addition to being NSF certified, the W9123053 water filter has been tested and approved by the World Health Organization--for excellence you can depend on. 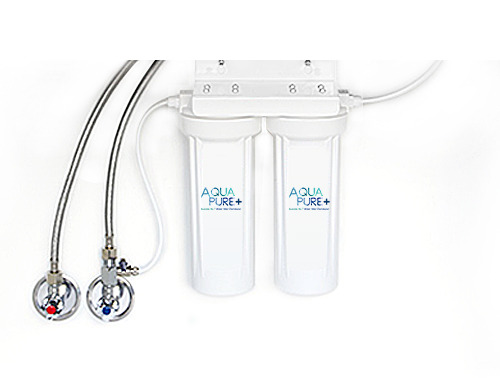 provides its customers, whatever their situation, with top quality, UK manufactured water filters that perform consistently every time and gives them clean, healthy, great-tasting water anytime, anywhere. Doulton® water filters have now been manufactured continuously in the UK for more than 185 years. In the 19th Century, the River Thames was London’s main water supply… and sewer. Henry Doulton discovered that filtering water through a porous ceramic could stop people becoming sick from cholera and other water-borne diseases. Queen Victoria was an early and long-standing Doulton® customer! Fairey Industrial Ceramics Limited (FICL) is the sole manufacturer of the world famous range of Doulton® ceramic drinking water filters. All Doulton® ceramic water filter products are manufactured in FICL’s factory based in North Staffordshire, UK, the traditional home of the ceramic industry in England. In general, the smaller the pore size of a filter and the more complicated the path the water takes through the filter medium, the more effective it is at removing particles from water. A ceramic has a small and complex pore structure, making it an ideal filter medium. FICL is able to accurately control the pore structure of Doulton® ceramic drinking water filters, ensuring excellent product consistency. All stages of FICL’s drinking water filter production process adhere to the stringent BS EN ISO 9001 quality standards. FICL holds the coveted NSF® and WRAS certificates, demonstrating that our drinking water filters have passed the highest international testing standards. Our high quality standards are why the Doulton® brand name is so well known and respected for use in home water filtration systems around the world. Customers can, as a result of our exacting standards, expect the same high quality from our filters every time they are used. Bottled water is expensive to buy, produces a lot of plastic waste, and the carbon footprint of transporting those bottles of water is enormous.